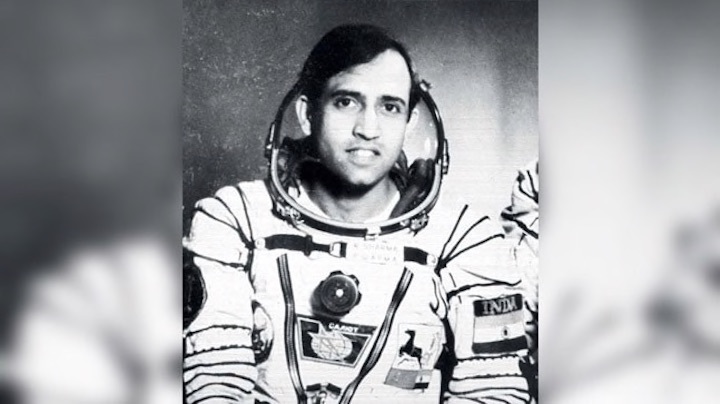 IAF officer Sqn Ldr Rakesh Sharma flew aboard a Soyuz T11 spacecraft on April 2, 1984, and became the first Indian to journey into space. 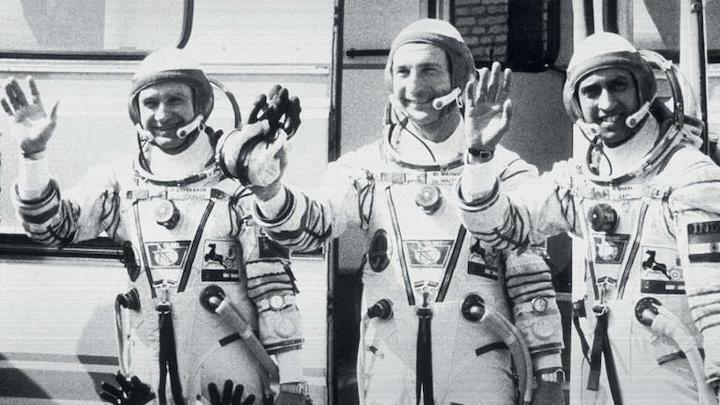 He spent 7 days, 21 hours and 40 minutes aboard the Salyut 7 orbital station along with two Soviet astronauts. He describes the incredible experience in his own words. It was an immense relief to hear the prime minister announce that India will be sending a manned mission by 2022. I've been waiting for this kind of announcement for 34 years because we have not had a manned space programme since I went up. I am extremely thrilled that it has finally happened. People ask me whether I am bothered if my record will be broken, and I tell them, not at all, the more the merrier. The Indian space programme is coming of age, in the sense that we have realised all the objectives that were set for us by the visionary Vikram Sarabhai. It is only natural for ISRO to challenge itself and go to the next level. In that sense, it is a continued effort and I think it is hugely exciting because we are at a point where, for the very first time, humanity is moving out of planet Earth with the stated objective of inhabiting other planets. If we are going to be a full-fledged player in this field, it is inevitable that we be a full on spacefaring nation. Why continue with manned missi ons and not one with a robot? To begin with, I don't think we will ever explore space with just robots. The human being has got exploration written into his DNA. If there is any exploration to be done, the human has to be a part of it. We are also not going there merely to find out the constituents of lunar soil, we are going there to settle. So, obviously, humans will have to get comfortable in that hostile environment. Also, the further you go, the more difficult it becomes to achieve the objecti ves of space remotely. One, there is delay in communication. Then, some decisions have to be taken on the spot, and you need humans to be part of the decision-making process. And till such time as sufficiently powerful computers can fully replicate the human brain's potential and ability, we cannot be replaced. People always ask me what I looked for when I first viewed Earth from orbit. Well, the thing that astronauts of various other countries do is look out for their country. And that's exactly what I did. It was a wonderful sight and when our then prime minister (Indira Gandhi) asked me what India looked like, I told her: Sare jahan se achchha (the best in the world). Then, slowly, you begin to realise that borders are not visible from space and then you start looking at your country as part of a whole and the whole being planet Earth itself. You come back feeling how fragile the planet is and how it needs to be protected. Of course, the best sight from space is the sunrise and sunset. Experiencing zero gravity is fun too. The human body takes roughly 36 to 48 hours to acclimatise to zero gravity once in space. Likewise, when you return, it takes about that much time to re-adapt to gravity. The changes that take place immediately after you are in orbit are adapting to zero gravity. The blood tends to rush to the head because the heart continues to pump at the same rate as it does while on Earth, as it remains unaware of the changed location. So, there is a problem of plenty in the upper extremities. Your face and tongue swell up. Your eustachian canals get engorged with blood and become oversensitive. Your head keeps moving about and you develop space sickness, similar to travel sickness. Some people have a problem adjusting. I was among the fortunate ones who didn't have much problem adjusting to zero gravity. It is physically impossible to create zero gravity on Earth. We had to take part in aeroplane manoeuvres that create conditions of zero gravity for about 20 seconds, so we got a sense of what it is like. In simulation exercises, we also got a sense of how difficult it would be to get out of space suits and into your working clothes. But it wasn't long enough for us to experience the physiological changes. So, really speaking, those adjustments happened only on the job when we went into space. When you have to work in zero gravity, you run out of hands as absolutely everything needs to be held in place. Don't tell anybody, but we don't bathe in space. We just use medicated towels to clean ourselves and that's about it because it is very difficult to carry water and to recycle and reuse it. As for going to the toilet, it is a well-practised art, shall we say, as even your bodily effluents are weightless just as you are. So you have to make sure they're captured effectively. It does take some practice. Similarly, to understand the g-for ces we experience when we take off or re-enter, we practised in centrifuge machines to develop tolerance for the higher g-forces we experience during space flight. In an aeroplane, it makes no difference whether you fly at Mach 1 or Mach 3. When in space, you're subjected to g-forces that last much longer than in an aircraft. That's what one needs to practise. The entire launch sequence is around nine minutes, and you experience peaks and troughs of the g-forces. When being launched into space, you are lying on your back and looking at the sky. The g-force acting on you is from the chest to the spine. The force you feel on your rib cage is four times the amount you feel on your waist. It presses against the spine, leaving very little space for the lungs to expand. So, breathing becomes difficult. That is why, on the centrifuge tests before launch, you learn the technique of expanding your chest and locking your muscles to create space for the lungs to expand and contract. On re-entering Earth, you feel the g-forces again. Due to the friction caused by re-entering the Earth's atmosphere, the space capsule experiences tremendous heat. The heat seal of the vehicle protects the crew and the temperature inside the capsule is regulated. However, the flames and blaze it causes are clearly visible. The entire capsule is enveloped in flames and the ablative layers it is coated with keep slicing off. You hope the guys on the ground who made the spacecraft got the number of layers right, because if they haven't, you're toast. Then you have anxious moments when the parachute opens to slow down the capsule's speed after re-entering Earth. When you hear the sound of the link, you wonder whether the parachute is going to hold strong or you will go into free fall. When you touch down, your body experiences a different feeling. Because after adapting to zero gravity in space, your body sends a signal to your heart to slow down and not to pump too much blood. So you achieve a new equilibrium. But when you return, the phenomenon reverses. Your heart is now underperforming, as you now have to stand vertically due to gravity. You feel woozy and light-headed and tend to lose your balance. But it is nothing serious. You are not prepared, though, for the microphones the press pushes towards you. Your body is just readapting to gravity and you are not feeling too good answering questions. But there is also a feeling of relief that the flight went off well. From a professional standpoint, you feel fulfilled. It was a job you were entrusted with and it was achieved with success. After you've landed, you marvel at how technology has provided us human solutions and made it possible for us to orbit space and return safely. I was not worried about my life because it depends on how you process the risk. Personally, I looked at it thinking that there were 127 humans who went before me and came back safely. I thought I had a good chance of doing so. For the lucky ones who'll be chosen for the Indian mission, they are in for the ride of their lives. My advice to them is not to miss anything, to keep their eyes, ears and senses open. It is a wonderful experience. I'd tell them not to get overawed by the occasion. They'll be professionals and am sure will approach this as just another day in office. Just another test flight. I've been asked if I'd like to go up again. My answer is, yes, of course. But this time as a tourist with nothing to do but put my nose to the window and watch the wonderful scenes I missed while working in space in 1984.